Old Town Leavenworth is the perfect location for boating, whether it is water skiing and wake boarding; or cruising our natural, wild and secluded sections of the Ohio River banks; or stopping at almost forgotten small historic riverside towns for a boater's lunch or dinner. Located at mile 664.5 on the Ohio River, our double wide concrete boat ramp can accommodate almost any recreational boat and trailer combination. Our new docks by the boat ramp also make for easier loading and unloading of passengers. 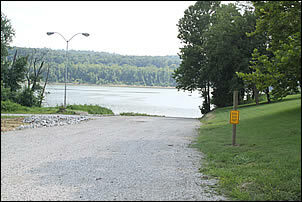 The boat ramp is available to the public for a daily or seasonal fee. 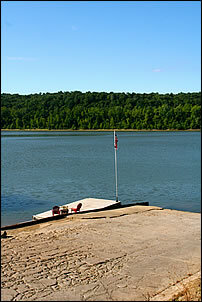 However, our nightly and seasonal RV campground guests enjoy complimentary use of the ramp.